Mark-it is Monroe County SWCD's first web and mobile friendly application connecting consumers to producers! 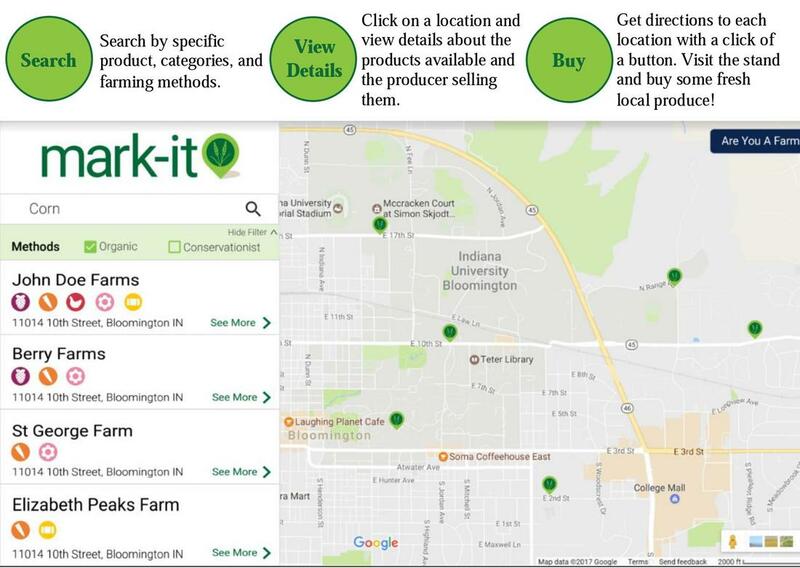 As a collaboration with Indiana University's Serve IT, Mark-it is now a functional web application allowing local producers to create an online profile showcasing their produce, contact information, stand location, and other farm details. Consumers can find local products by searching product type, farm location, or producer. A special feature in the app allows consumers to filter their product search based on a producer's use of conservation practices or USDA organic certification. Go to www.swcdmarkit.net to try the app for yourself!